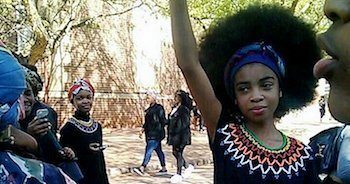 On Aug. 26, students at Pretoria High School for Girls began a large protest against their school’s discriminatory hair code after a black student was reprimanded for writing an essay about white oppression of black women, who was then told that her Afro was “unruly,” as reported by various news outlets. In an open letter to The Daily VOX, a well-known South African news outlet, Malaika Eyoh, a 12th-grader at the school, shared her perspective on the institution and their rules. The students also attended an assembly on Aug. 26, wearing all black instead of their school uniforms and continued to protest through the weekend and through that Monday, where they reportedly were ambushed by armed guards and various authorities who threatened to arrest the girls. In addition, It has also been reported that in recent years, staff members have had a history of discriminatory abuse, telling students to use chemical straighteners on their hair and to limit the wear of cornrows, braids and dreadlocks, The Washington Post reported. With strict school hair regulations, one unidentified 15-year-old student at Pretoria High School shared her own views of the institution and her belief that the protests ran much deeper than haircare, as some teachers were also accused of discouraging students from speaking African languages, The Washington Post reported. “It’s degrading. … If we don’t stick up for ourselves, no one’s going to,” she said. 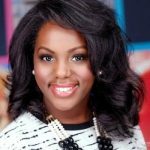 In light of the recent school protests, which went viral all across the globe, more heinous incidents at the school and other South African institutions have surfaced, including a white woman calling black beachgoers “monkeys” in a Facebook post, and a student at Port Elizabeth school who said she was warned she might not be able to sit for exams because of her Afro. Founded in 1902 as a “multiracial” school, the institution only served white students during the apartheid era, and listed on their school website that their first black, non-diplomatic pupils were not enrolled until 1991. Since the protests, the regional education head who oversees the district has visited the school and announced a plan to suspend hair policies while an independent discrimination investigation is conducted.